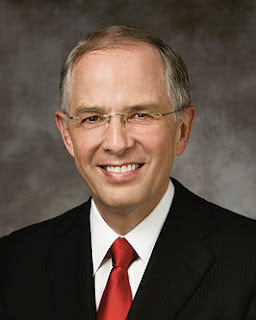 "For those diligently seeking eternal life, the prophet’s voice brings spiritual safety in very turbulent times. "We live on a planet clamoring with a million voices. The internet, our smartphones, our bloated boxes of entertainment all plead for our attention and thrust their influence upon us, hoping we will buy their products and adopt their standards. "Anchoring our souls to the Lord Jesus Christ requires listening to those He sends. Following the prophet in a world of commotion is like being wrapped in a soothing, warm blanket on a freezing cold day." 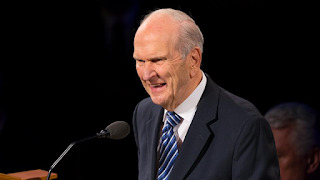 Elder Andersen shared a powerful and insightful look into the role and function of a prophet, particularly as related to our time and the new sustaining of President Russell M. Nelson. Given the challenges and complexity of the time in which we live, and the many voices competing for our attention, it becomes more and more critical that we be "anchored" to the Savior. 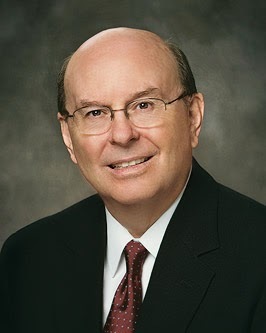 Elder Andersen reminds us that the best way to accomplish that is to listen to and follow the prophets. We must read and study their counsel, and apply the teachings in our lives. That is the source of peace and safety in our "world of commotion."